Do you like the work that we're doing with Kojo and the ecosystem around it? Do you want to support this work, so that it sustains and grows? If so, you can contribute by sponsoring our work or by partnering with us. Sponsor the development of Kojo by providing financial support. For more information, email sponsor@kogics.net. Or, to make a quick contribution, just buy an ebook. The Faculty of Engineering at Lund University, Lunds Tekniska Högskola or “LTH” in Swedish, is among the leading engineering faculties in Europe, with more than 9,000 undergraduates and 800 postgraduates. 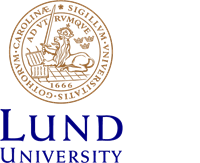 Founded in 1961, as an independent institute, it today belongs to Lund University, which is one of Scandinavia's largest institutions for education and research with about 35,000 students and 6,000 employees. Typesafe was founded in 2011 by the creators of the Scala programming language and Akka middleware, who joined forces to create a modern software platform for the era of multicore hardware and cloud computing workloads. The company provides an easy-to-use packaging of Scala, Akka, Play, and developer tools via the open source Typesafe Stack, as well as commercial support, maintenance, and operations tools via the Typesafe Subscription. In conjunction with its partners, Typesafe also provides training and consulting services to accelerate the commercial adoption of Scala, Akka, and Play. Working together with leaders of the Scala, Akka, and Play open source communities, Typesafe empowers developers to create rich, high volume and interactive applications. Contribute to the development of Kojo by implementing a feature, providing bug reports, sending in patches, or providing documentaion and learning material. Help spread Kojo by using it in a teaching environment (with help from us).